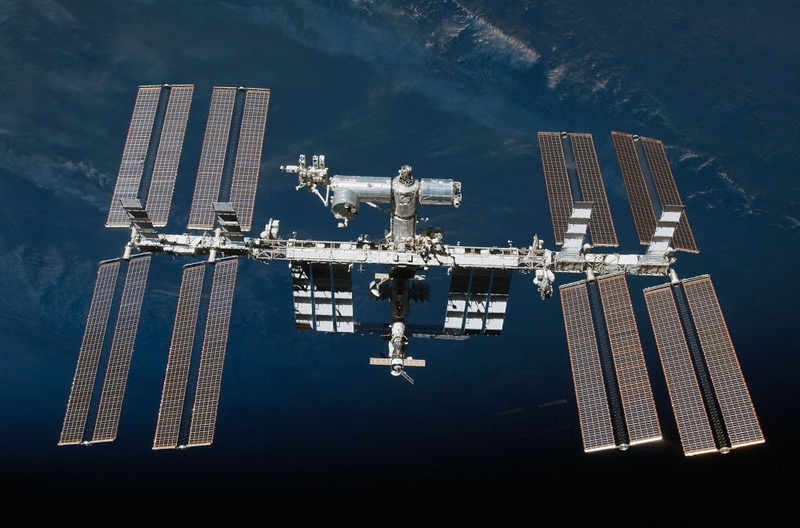 A 2 meter signal reflected from the structure of the International Space Station (ISS) on May 24 was heard across the Atlantic. Tim Fern, GK4LOH, in Cornwall (GN37jr), transmitted GK4LOH GK4LOH T T T T T T T T T T as he saw the ISS pass above. Frank Davis, VO1HP, used the remote receiver at VO1FN (IO70jc) to hear the signal, which he recorded. The distance was calculated at 3467 kilometers (approximately 2150 miles). This may mark the first such intentional transmission via ISS Bounce. In 2014, RSGB VHF Manager John Regnault, G4SWX, received a 2 meter signal from VC1T, where a team, was trying to win the Brendan Trophy for the first transatlantic contact on 144 MHz. Upon investigation, it was determined that the VC1T FSK441 signal that G4SWX heard had also bounced off the ISS rather than via terrestrial propagation and would not qualify for the Brendan Trophy, offered by the Irish Radio Transmitters Society (IRTS).